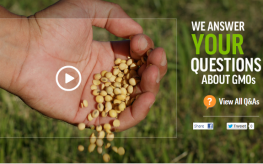 In a move that can be seen as a desperate cry for help, biotechnology companies like Monsanto, Bayer, Dow AgroSciences, and DuPont have launched a new website called gmoanswers.com, which reportedly aims to uncover myths and truths surrounding GMOs and their place in our world. 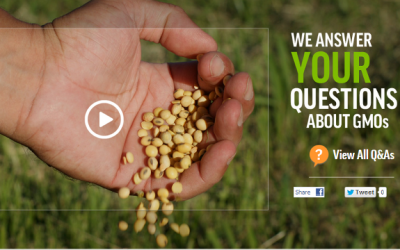 Really, the website is a campaign to fight GMO labeling and tighter regulation on genetically engineered seeds and crops. 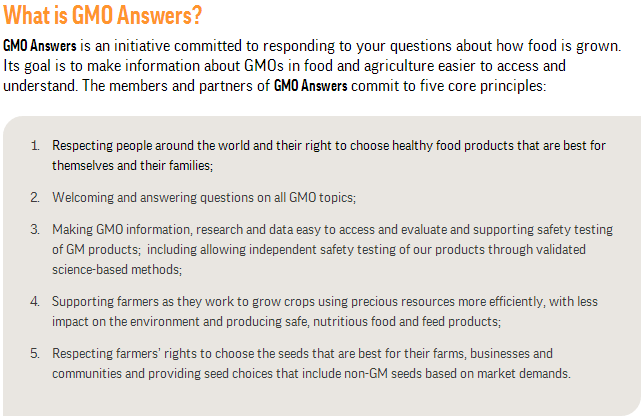 Created as an online forum and “central online resource” where experts take the time to answer questions posted by the public, GMOAnswers, which represents the biotech industry as a whole, appears to be an extremely valuable tool in educating about GMOs. The biotech industry tells its viewers to ask ‘tough questions, to be skeptical, and to be open to the answers provided by the experts in the forum’. Interestingly, this multi-year, multi-million-dollar campaign involves the biotech seed companies opening some of their fields and offices to visitors. They will also host personal, face-to-face forums nation-wide, according to Cathleen Enright, spokeswoman for the website. But even while appearing helpful and informative on the surface, let us not forget who is really taking this last fighting breath. Monsanto, the biotechnology giant responsible for much of the GMOs we are seeing today, is a key opponent. The company has spent over $40 million to defeat the most influential GMO labeling bill in California – Proposition 37, and is known for leading farmers to suicide nearly every 30 minutes. The company has even been given special laws protecting it from lawsuits, as many politicians are also involved with Monsanto. And let’s not forget Dow, another GMO-creator and and a top producer of Agent Orange (along with Monsanto). Then we have Syngenta, another biotech giant which has been criminally charged for denying knowledge that its GM Bt corn actually kills livestock, and DuPont, yet another GMO company. Biotech understand that activists are winning, so they are fighting back – using the internet. The industry is being targeted at every angle by activists, who, at the very least, simply want these GMO foods labeled so that informed decisions can be made. (Though a ban would be optimal). But unfortunately for the Frankenfood creators, they will not succeed in the end. Given the ample evidence showing how GMOs damage both life and the environment, there is no question that the public will shoot down this latest effort and all future efforts to push GMOs on the population. Do you have list of non gmo vitamin distributors? You are not fooling anyone, Monsanto!! I just send "nice" e-mail to Monsanto!! and I'm so happy. They think that something will be changed with that web. Nothing. People, wake up and bombard them with e-mails and use only organic food. They will close their doors very quickly.